The strange thing about the history of the gothic movement in Britain is that this generally neglected and often forgotten cultural current has roots which go back centuries, crossing paths with other movements and art forms, many of which are long lost, misrepresented, or misunderstood. The role of gothic theatre in the formation of modern goth culture is one such example. The second wave of British gothic culture effectively began with the first production of 'The Bells', at the Lyceum in London, in 1871. This single production was a key event in both the renaissance and eventual respectability of British theatre, but also indirectly laid the basis of twentieth century gothic. The fact that it is generally ignored these days, then, is a curious and unfortunate development. 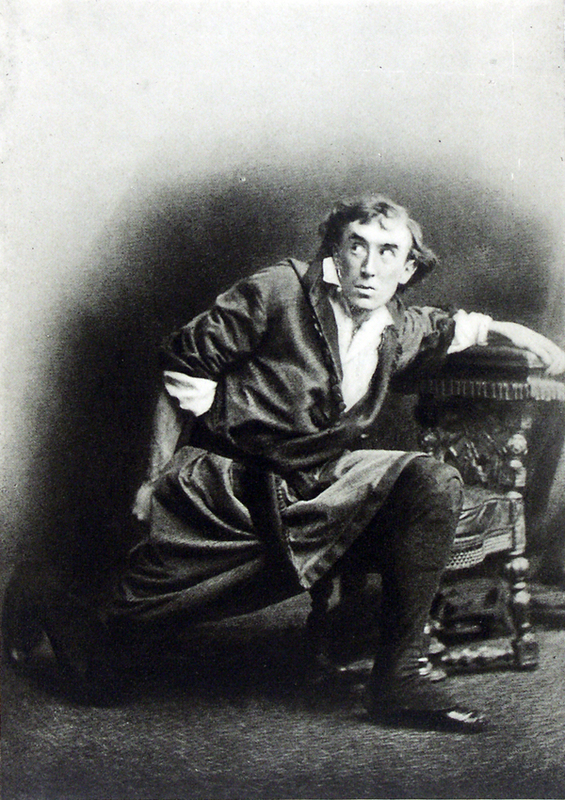 'The Bells', a translation by Leopold Lewis of the 1867 play 'Le Juif Polonais (The Polish Jew)' by Erckmann-Chatrian, was first performed by Henry Irving in that production. Irving had taken over management of a failing Lyceum earlier that year. Irving, a renowned 'actor-manager' who took keen (some may say overbearing) interest in the running of the theatre and set the artistic direction of the productions, each of which would invariably star himself, was a huge star in the theatrical world at the time – but even he had his work cut out in turning around the fortunes of the Lyceum. There were many empty stalls when 'The Bells' made its debut. So the huge success of the production was, then, extremely timely. The play itself deals with a fairly simple gothic trope: a wannabe Silesian Burgermeister who owns a tavern who kills a passing Jewish trader for his money, only to tormented by his guilt in the form of the sleigh bells of his victim. The ingredients of the play – cursed ambition, petit-bourgeois avarice, guilt, madness, and not a little anti-Semitism – were standard fare. But what was more unusual was the powerhouse, barnstormingly visceral performance that Irving's production gave. The histrionic, hammy performance by the Old Man was so electrifyingly emotive that it provided all the thrills and chills that a Victorian theatrical audience were craving; the third act of the production was essentially a showcase for Irving's singularly egomaniacial vision. It was, as Garth Marenghi would say, “raw, balls-to-the-wall horror”, and it was a smash hit. It ran for a spectacular 150 nights. This production had a number of repercussions. It had the result of making Irving's career, and taking British theatre a massive step forward towards respectability; Irving would later become the first actor to be Knighted. It also rekindled the Victorian appetite for the macabre, and with it the next generation of gothic. But probably most importantly it provided the basis for the figure that would dominate that next gothic wave. Irving's theatrical manager was one Bram Stoker, who would become so enamoured with the visceral performances Irving gave that he intended his new character – one Count Dracula - to be performed by him. Indeed, the first ever stage performance of 'Dracula' was a dramatised reading on stage at the Lyceum – and the description of the Count in Stoker's original novel, with his grey hair and 'aqualine nose', bears an obvious to the Old Man himself. Where is that legacy now? Well, in one of those curiously self-defeating things that characterise the goth movement the Lyceum, after being derelict and then a bingo hall, is now showcasing 'the Lion King' on a daily basis whilst we were busy trying to get 200 bands in a small field in the midlands. Irving died at the Midland Hotel in Bradford, just a few miles from Goth City, although this fact in itself has also been largely ignored. 'The Bells' today is just a footnote in the backstory of modern goth. But that's not important to dwell on at this time. What is important is to remember that ham pays, that audacity pays off, and that things begin. All the time, they begin.